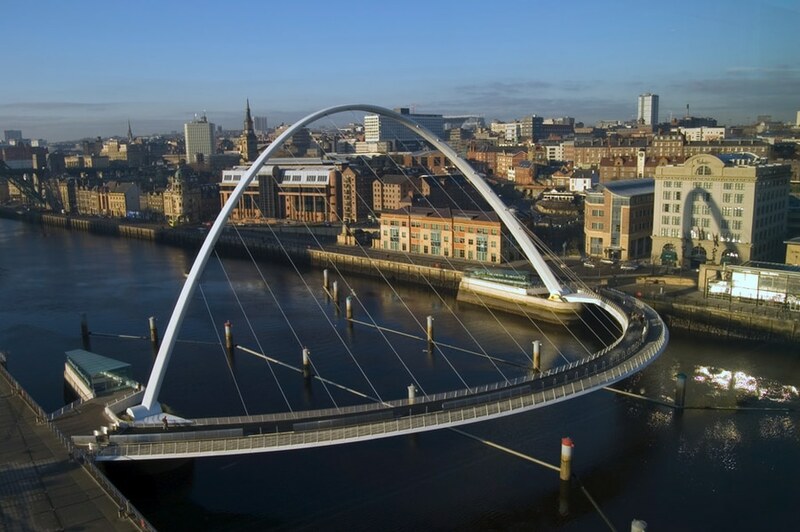 For day seven of our bridge-themed A-Zdvent calendar, the spotlight is on the Gateshead Millennium Bridge by Wilkinson Eyre Architects, which tilts open like a blinking eye to allow tall ships to pass. 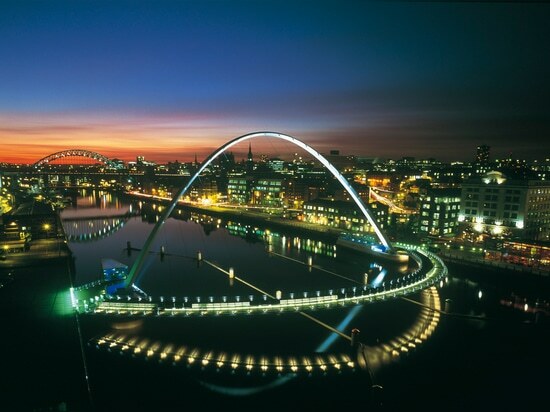 Completed in 2001, the 126-metre-long bridge spans the River Tyne in the north-east of England, connecting the city of Newcastle with the Gateshead Quays art and culture quarter to the south. 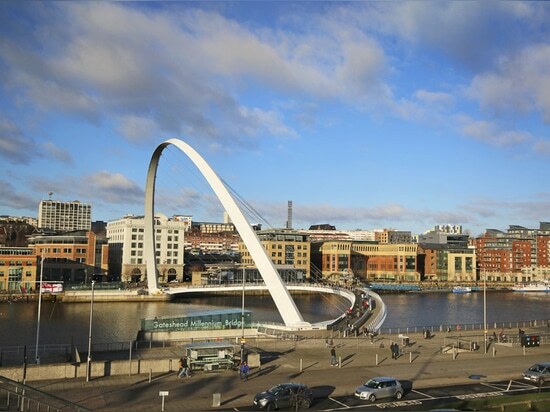 Wilkinson Eyre's competition-winning design features two slender steel arches. 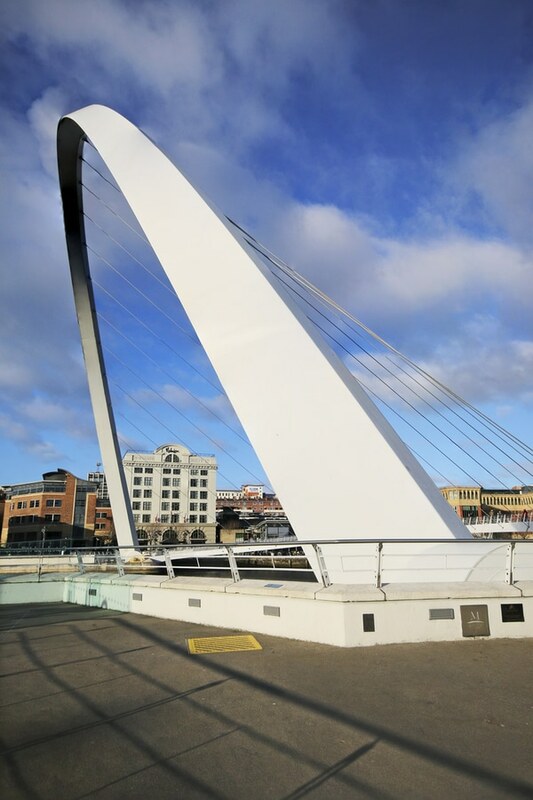 The first is a gently curving deck that carries a footpath and a cycle lane, while the other is a 50-metre-high parabolic arc from which the deck is suspended on cables. When large boats need to pass through, hydraulic rams powered by electric motors rotate the bridge back on huge bearings. This creates a motion that resembles that of a slowly opening eyelid, and prompted the nickname the "blinking eye". The entire process takes approximately four and a half minutes. 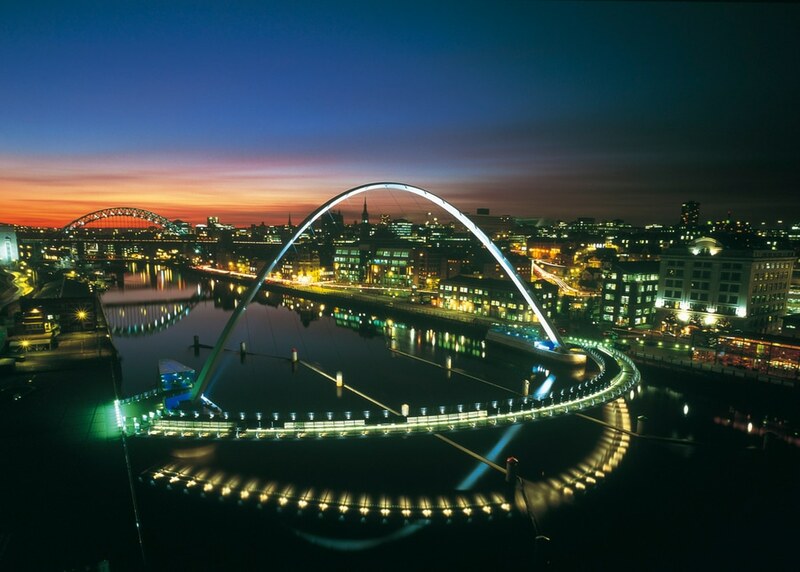 "Of all of the projects built in the UK to celebrate the Millennium, Wilkinson Eyre Architects' Gateshead Millennium Bridge is perhaps the most original," said Dezeen editor-in-chief Marcus Fairs in his book 21st Century Design. 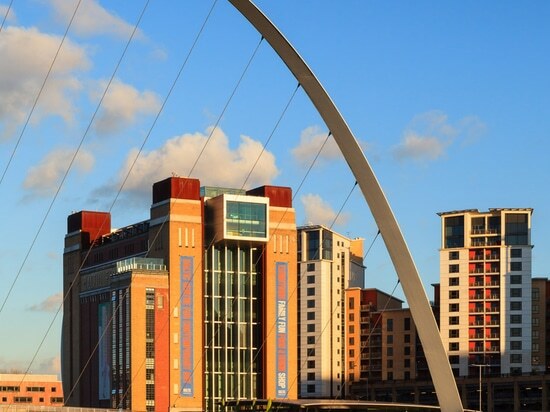 "The slenderness of the bridge's structure is a result of cutting-edge engineering techniques used to reduce weight to a minimum, and contrasts with the heavy engineering of the other bridges on this stretch of the Tyne, which include the famous 1928 Tyne Bridge – modelled on Sydney Harbour Bridge – and Robert Stephenson's High Level Bridge of 1849." 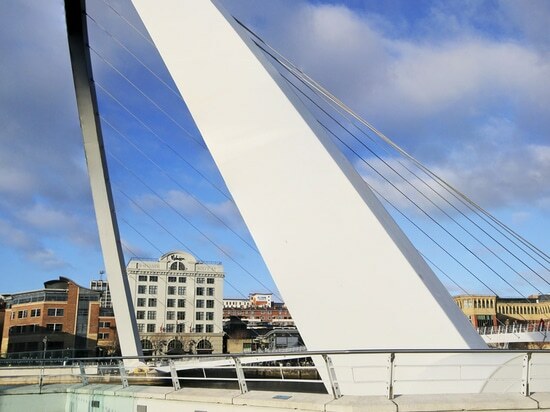 The bridge also cleans up its own litter – when it tilts open anything dropped on the deck rolls down and gets caught in bespoke rubbish traps at each end. 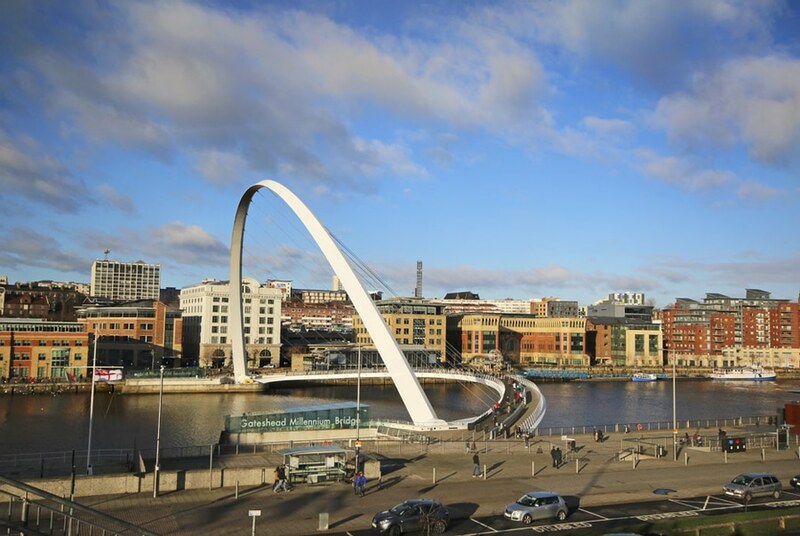 The structure was built in sections in Bolton and assembled at Wallsend, before being shipped to its location and dropped onto its concrete foundations by Europe's largest floating crane, Asian Hercules II. 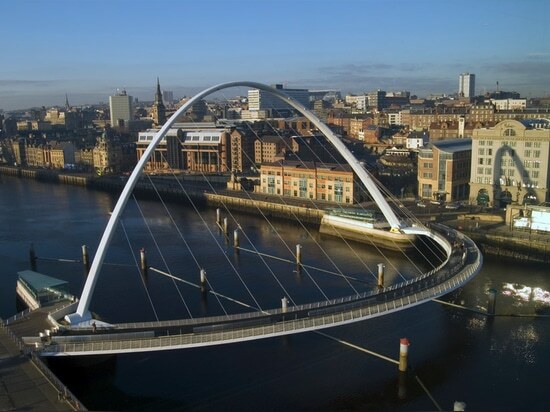 Gateshead Millennium Bridge was the 2002 winner of the RIBA Stirling Prize, the UK's most prestigious architecture award. 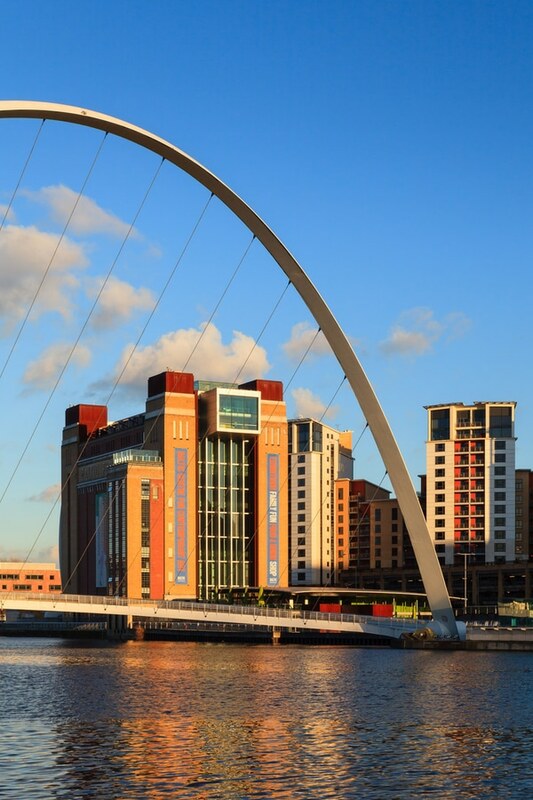 Gifford acted as structural engineer on the project, which cost £22 million to build. Images courtesy of Shutterstock, unless otherwise stated.